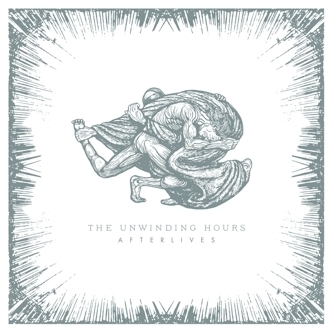 "The Unwinding Hours follow up their 2010 self-titled debut with the much anticipated album ‘Afterlives’. Craig B and Iain Cook were formerly one half of Aereogramme, who split up in 2007. ‘Afterlives’ was written, performed and produced by The Unwinding Hours at Alucard Studios in Glasgow. 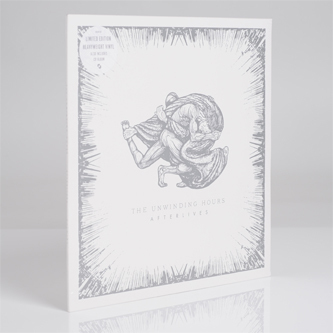 'Afterlives’ features The Unwinding Hours’ emotive brand of uplifting rock, influenced by the likes of Flaming Lips, Max Richter, The Cocteau Twins and even Laurie Anderson. Craig B’s lyrics and heart-rending vocals bring to mind the melancholic grandeur of Mark Eitzel’s American Music Club with the propulsive dynamic recalling Bob Mould’s Sugar. The album artwork was taken from an etching by an American artist called Jack Baumgartner. The artwork depicts the biblical story of Jacob wrestling with the Angel."